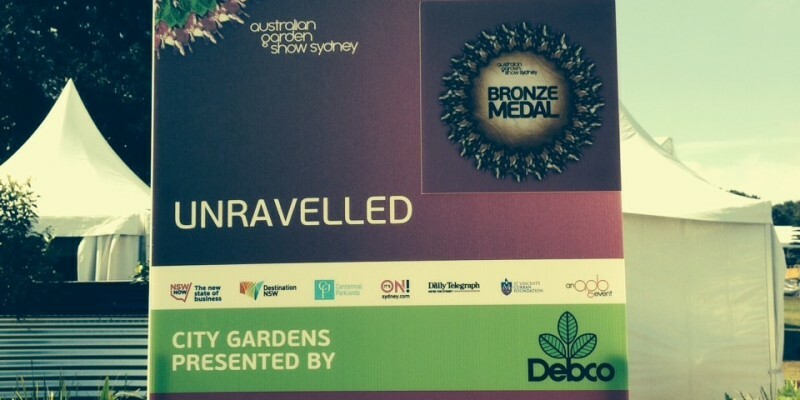 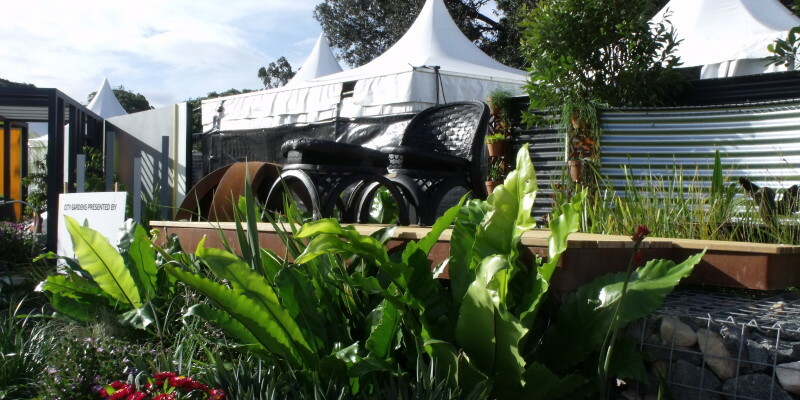 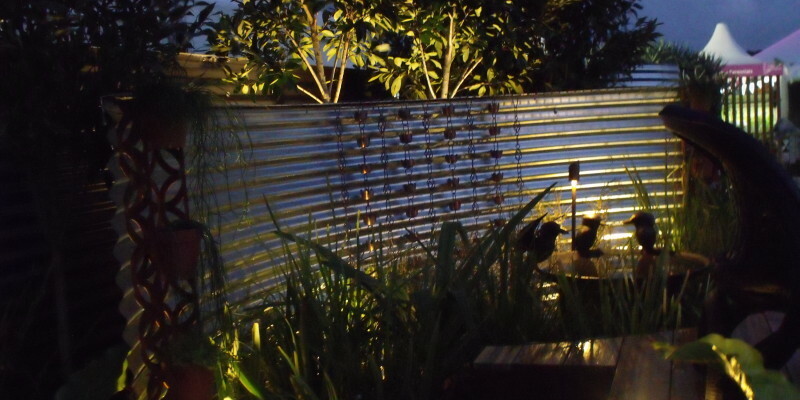 View our award winning display garden at the recently concluded Australian Garden Show Sydney 2014 at the Centennial Parklands. 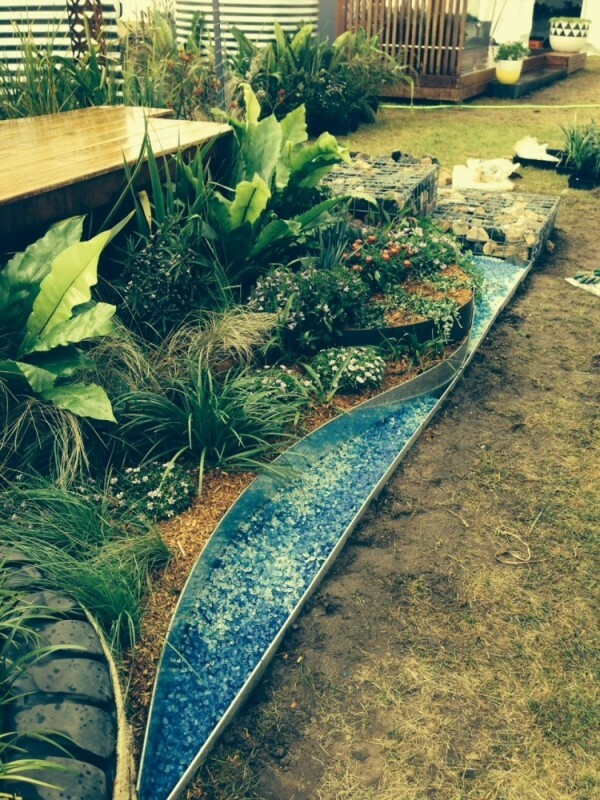 Earth Matters Consulting designed a rain garden using primarily native plantings. 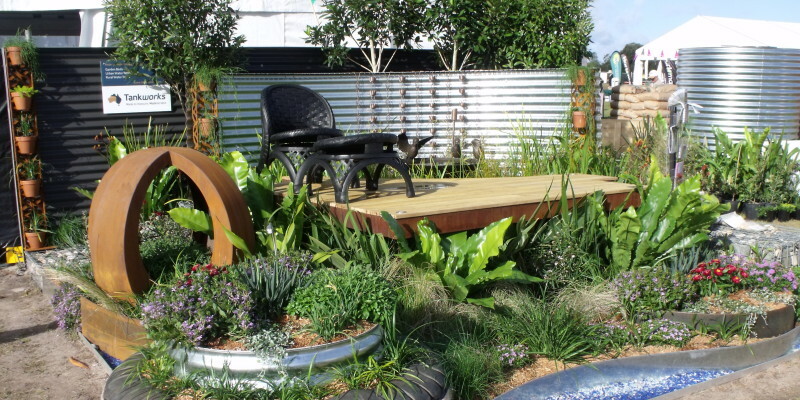 These plants are those that can happily tolerate temporary inundation when it rains and are able to withstand periodic dry spells easily. 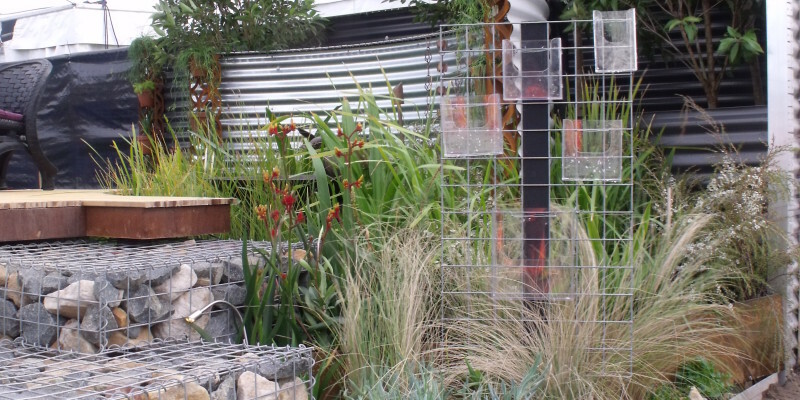 We created a curved wall to represent a rain water tank with beautiful rain chains that brought the water down to the rain garden. 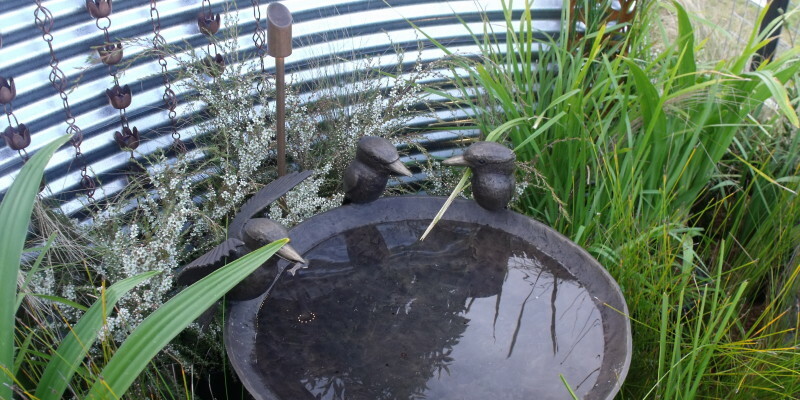 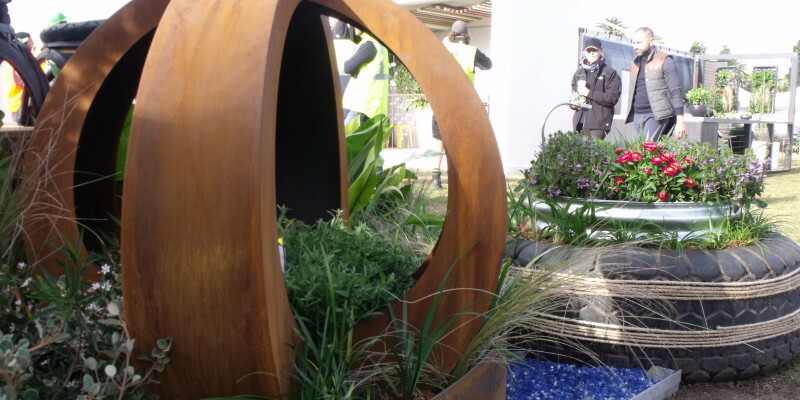 A superb bronze birdbath added to the design while the sculpture represented a closed loop of a balanced ecosystem. 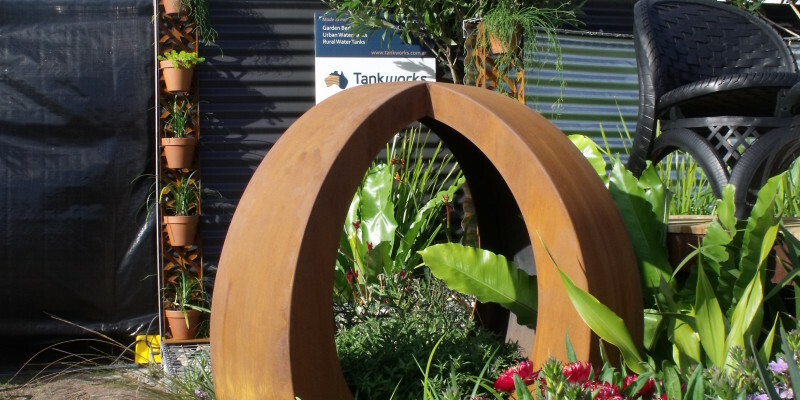 The theme was one of sustainability and recycling and we even had furniture made from old rubber tyres!